Education: Worked in a Qinghai factory in 1972. Graduate of the Central Party School. Career: Spent most of his career in Qinghai and the Tibet Autonomous Region (TAR), which was likely regarded as useful training for the United Front Work Department. Member of 18th Central Committee. Prospects: Prospects unclear. Unlikely to be a candidate for high office. Relevance to Tibet: A former Deputy Party Secretary of the TAR. A potential interlocutor for the Tibetan Government in exile. 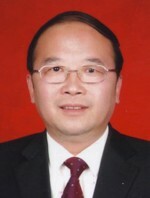 Most of Zhang Yijiong’s career was spent in Qinghai Province (Communist Youth League from 1985 – 1990, then successive positions from 1998 to 2006. From 2006 to 2010 he served as a Deputy Secretary of the Tibet Autonomous Region, serving briefly as Secretary of the TAR Politics and Law Committee before being moved to Jiangxi Province. His appointment to the United Front Work Department was announced in June 2012 in China Daily. Zhang’s appointment replaces Zhu Weiqun, but Zhu remains very vocal on and engaged with Tibet work. In 2014, a New York Times blog reported that a representative of an “NGO” called China Association for Preservation and Development of Tibetan Culture had been barred from the UN Human Rights Council for intimidating a Chinese woman giving testimony about her detained father. China Association for Preservation and Development of Tibetan Culture has among its senior leaders Du Qinglin, a member of the Communist Party’s Central Committee and the former head of the United Front Work Department; Zhu Weiqun, a former deputy head of the United Front Work Department and Zhang Yijiong. The “NGO”, which has an address in Beijing adjacent to the United Front Work Department, has not itself been barred from the Human Rights Council. Address: 35 Fuyou Street Xicheng District, Beijing 100800.